It epitomizes an image of Pacific islands, fringed with white sandy beaches, gently swaying palm trees, a turquoise lagoon sparkling in the bright tropical sunlight . The pace of life here is also in tune with this tranquility and peace making it an ideal place to relax. There is no better way to fully experience the beauty and charm of that magical place than to take our day picnic cruise. 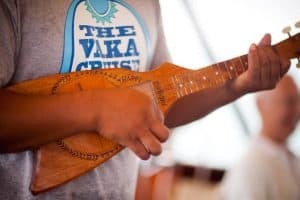 The Vaka Cruise, 6 hours of lagoon magic onboard of our Vaka Tiki-a-Tonga, will provide you with some breathtaking views, relaxing atmosphere and fun . You will visit sun-soaked islets (motus) swim and snorkel in spots teeming with an array of colourful tropical fish and majestic giant trevallies and be treated to a delicious tropical buffet lunch. 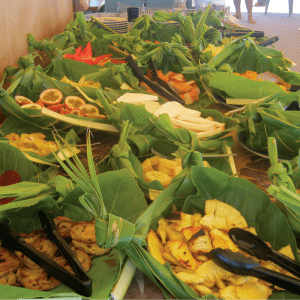 The Vaka Cruise is simply something that no visitor to the Cook Islands should miss! 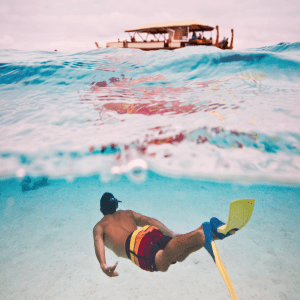 If you are spending your holidays in Rarotonga you can still experience Aitutaki and The Vaka Cruise by taking the Aitutaki Day Tour operated by Air Rarotonga. 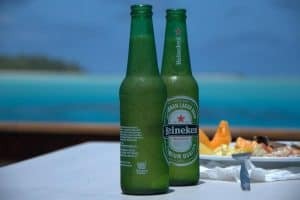 This tour departs Rarotonga Airport at 8am and includes an Aitutaki Island Tour, The Vaka Cruise including lunch and returning to Rarotonga in time for dinner. Your stay, though short, will be filled with beauty and magic, perfect relaxation and fun. The legend describes his voyage originating at Raiatea in neighbouring French Polynesia on a twin hulled vaka (voyaging canoe) arriving at O’otu before exploring the clear turquoise waters of of Aitutaki lagoon, feasting on seafood and the abundant sweet coconuts available on the motu (small islets) that encircle the lagoon. Today the lagoon’s waters still teem with marine life, including rays, bonefish and turtles. 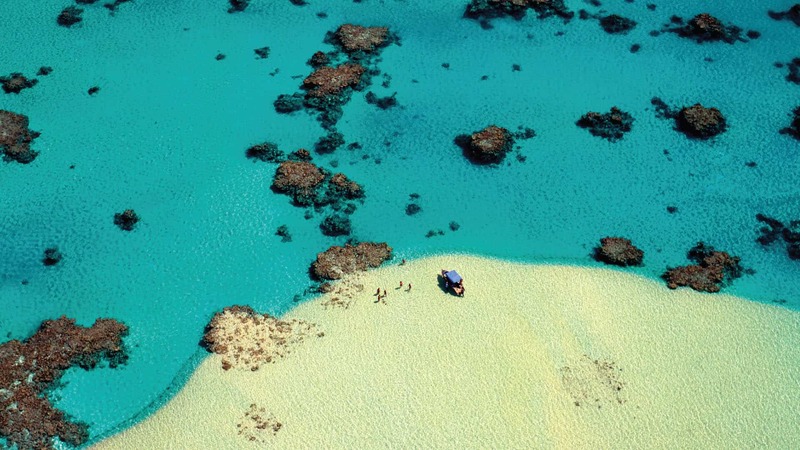 Adjacent to this – one of the World’s most beautiful lagoons – the main island is a romantic getaway for weddings and is a popular honeymoon South Pacific island destination. 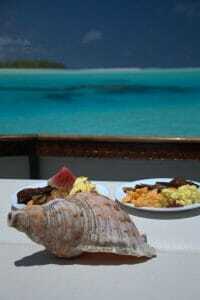 Several of the Cook Islands most romantic resorts are based here. 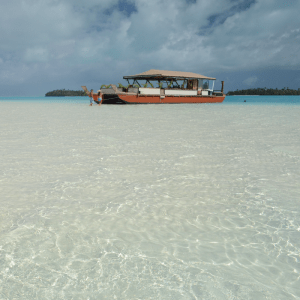 Visitors to Aitutaki can experience captivating beauty and the bounty of the lagoon and surrounding waters on The Vaka Cruise aboard the 21 metre Vaka Titi-ai-Tonga. 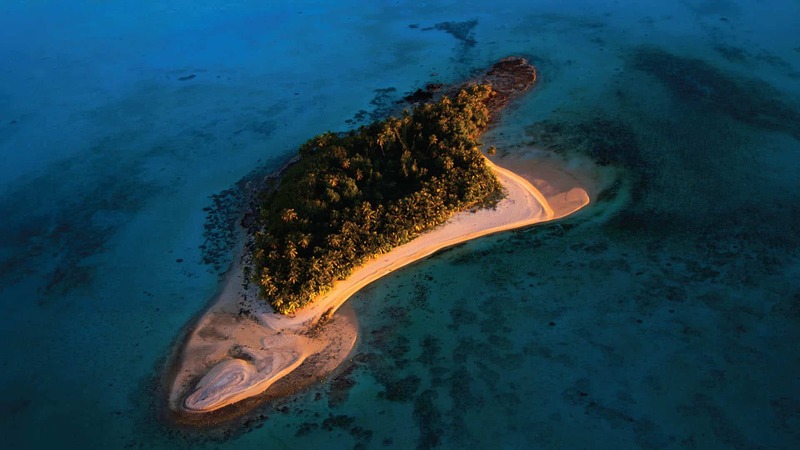 One of the stopovers on the six hour cruise is a visit to Tapuaetai (One Foot Island), one of the small islet the Lagoon Cruise will take you too, is often said to be the most important attraction providing visitors with the best views of the Aitutaki lagoon and, depending on the tide, one is able to walk on a sandbank a decent distance away from Tapuaetai. 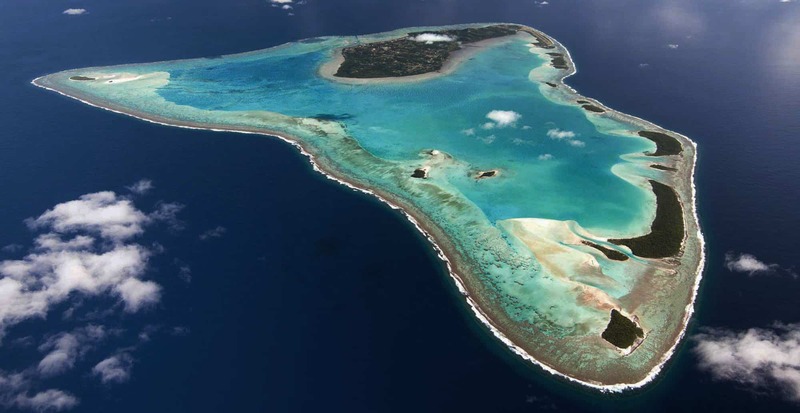 Here you can swim in the crystal clear and deep water separating Tapuaetai from its neighbouring islands. If your Holiday plans only include Rarotonga you will be pleased to know that our Vaka Cruise is part of the all inclusive Aitutaki Day Tour operated by Air Rarotonga.